All eyes will be on Dubai World Trade Centre as it hosts the region’s biggest consumer IT and electronics retail show, GITEX Shopper Spring 2014, tomorrow (Wednesday, 23 April). 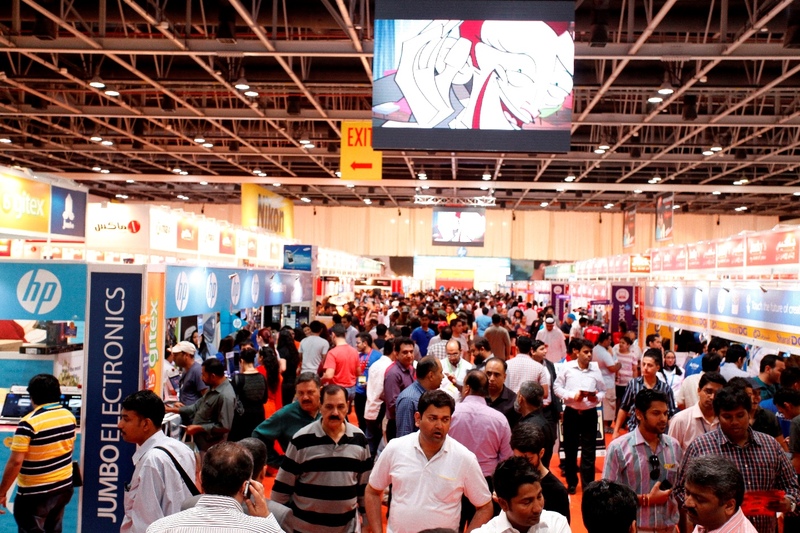 With unbeatable prices on over 30,000 up-to-the minute gadgets, new product launches, bundled deals and an array of exciting competitions, the second edition of GITEX Shopper Spring promises to be the most exciting four-day consumer electronics extravaganza in the region. Regional power retailers including E-City, Emax, Jacky’s Electronics, Jumbo Electronics, Max Electronics, One Mobile, Plug-Ins and Sharaf DG, as well as top global brands such as Acer, Dell, HP, Lenovo, LG, Nestle, Nokia, Toshiba and Samsung (platinum sponsor), are determined to offer the best deals possible on gadgets that include digital SLR cameras, smartphones, tablets, laptops and SmartTVs. Visitors to this year’s show will be able to test the latest products, compare performance and options, before bagging a bargain thanks to the Experience Zones set up by leading brands including Lenovo, Nokia, Samsung and Toshiba among others. Experts will be on hand to help visitors learn about the latest products and upgrades and offer advice on what’s best and why. Adding to the dynamic festival feel of GITEX Shopper Spring 2014, millions of dirhams worth in prizes will also up for grabs with promotions, raffles and giveaways, and a Limited Edition Honda Accord to be won every day of the show. “We are proud to be the official car sponsor of GITEX Shopper Spring which is undoubtedly one of the highlights on Dubai’s events calendar. Honda has always been known as a technological advanced company and we believe the show is the right platform to connect with our customers. Visitors to our stand, No EX-1 in the Plaza 3 area, will receive a special GITEX Shopper discount voucher of up to AED 5,000 which can be redeemed at our showrooms on the latest Honda Accord LXB and CR-V LX models,” said Colin Cordery, Regional Managing Director of Al-Futtaim Honda. Visitors to GITEX Shopper Spring 2014 will be delighted with the central location of the show which enjoys a dedicated Metro station just steps away from the show, and trains running from 10:00am on Friday, 25thApril thanks to a special agreement with the RTA. Ample parking, a smorgasbord of food and beverage outlets and a range of interactive and entertaining activities will add to the festival atmosphere at the show. Cricket enthusiasts visiting GITEX Shopper Spring will not miss the Indian Premier League games taking place this week thanks to a LG giant screen which will be located between Hall 3 and the Arena. GITEX Shopper Spring 2014 will take place from 23 -26 April in Sheikh Saeed Halls 1, 2 and 3 and will open from 11:00am – 11:00pm every day. Tickets are priced at AED15/- per person and are available at the venue and at select Emarat outlets. Entry is free for children under the age of five.